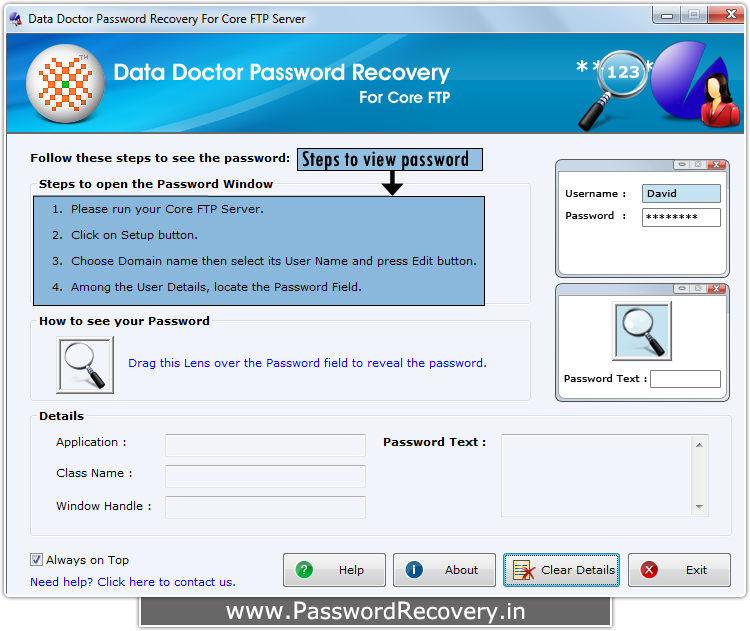 Retrieve lost password from Core FTP Software. 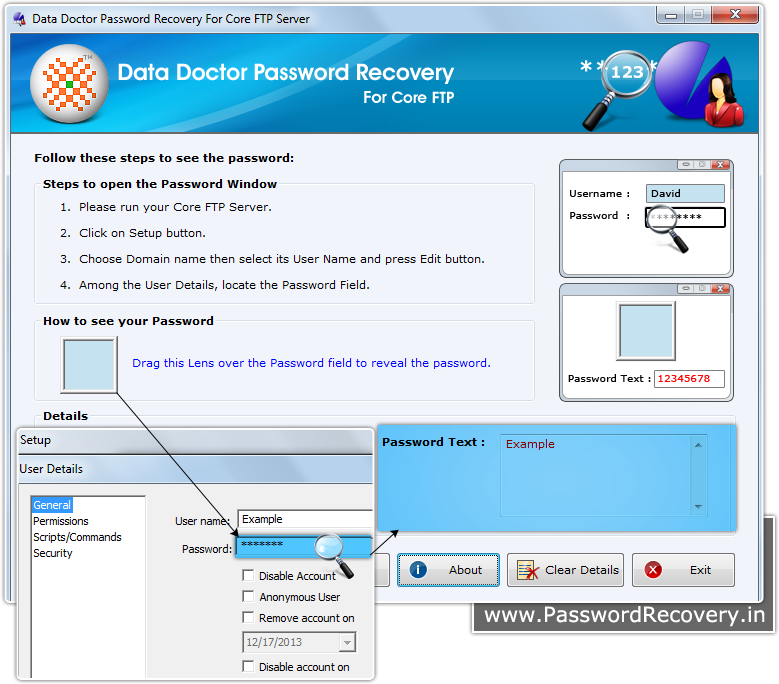 Password recovery by "Password Recovery Software For Core FTP"
How to Recover Password from Core FTP software? 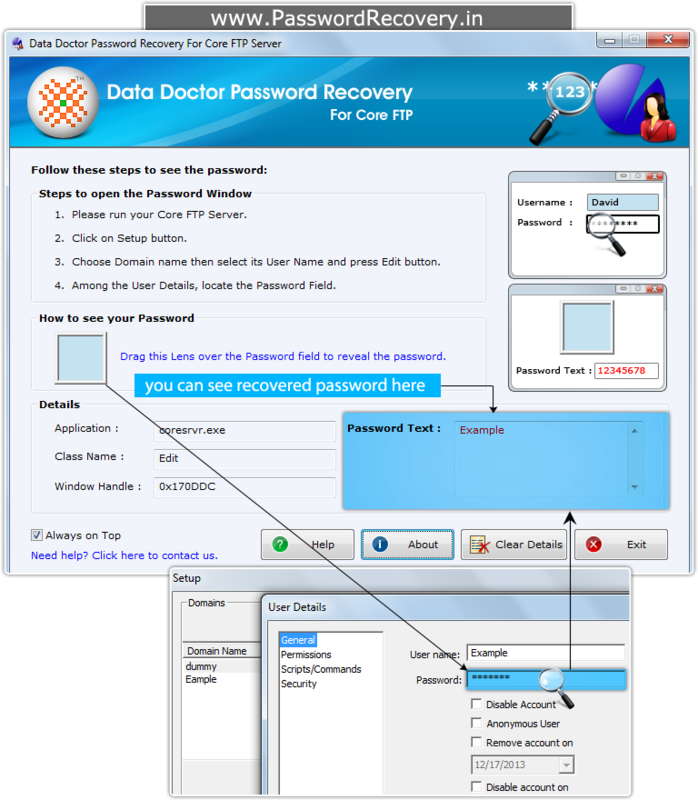 First install “Password Recovery Software For Core FTP” on your computer system. Now select its User Name and then press 'Edit' button. 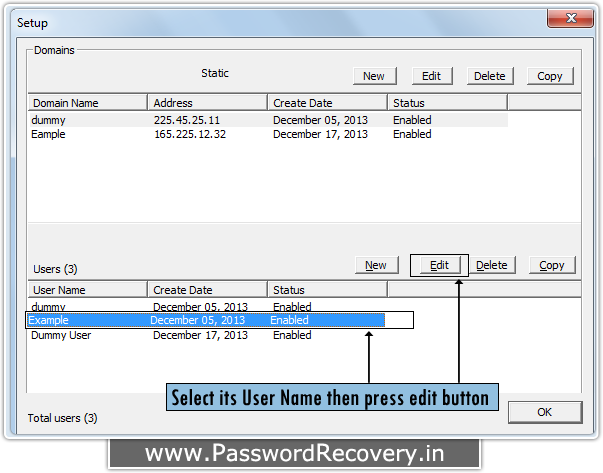 Locate the password field among the user details. To see password drag lens over the password box. 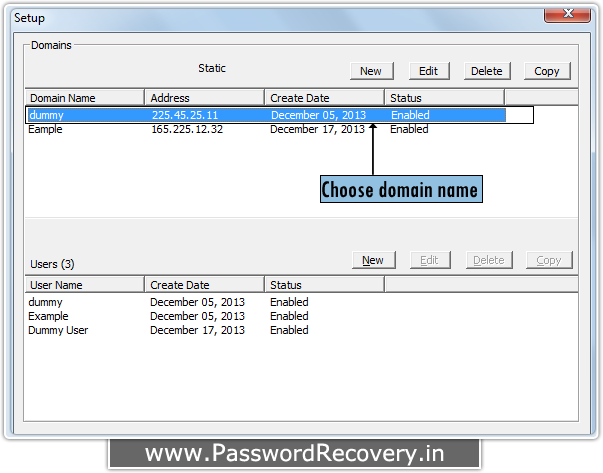 Recovered Password is displayed in 'Password Text' (for e.g. Example) at right side of above screenshot.